Maple Weekend offers the public a chance to visit the farm to learn about New York’s maple sugarmaking process and traditions. Enjoy the whole farm experience and visit our animals, this year we have young piggies. Maple Weekend also provides a chance to taste pure maple syrup (in many forms) right from the source. Our convenient location is fun for the whole family. Experience tree tapping… ask about our outside demonstration. 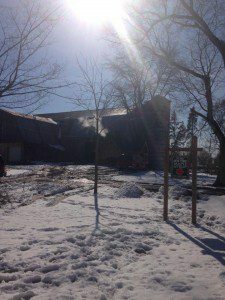 Tour our expansive old barn with demos and lots of information on maple. Warm up in the sugar house and smell that wonderful maple steam – we boil traditionally on a wood fired evaporator. Complimentary drinks and cookies will be available. Visit Marias Bene Cibo food truck for purchases of lunch and snacks. Learn all about the process of making maple syrup and other products from our family and don’t forget we have maple cotton. We’re looking forward to sharing our love of maple with you! 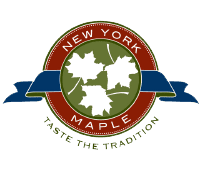 Maple Weekend 2019 – March 23-24 & 30-31 from 10:00 am – 4:00 pm! Like us on facebook to see all the happenings on the farm!